Adapt the kit's height to the structure to be weighed. Choose the ideal position for the load cell, lifting it from the ground in order to avoid dust and rubble. Choose the ideal installation direction of the cell (standard or turned upside down), according to the application. Create double cell systems, doubling the reliability of the weighing system. 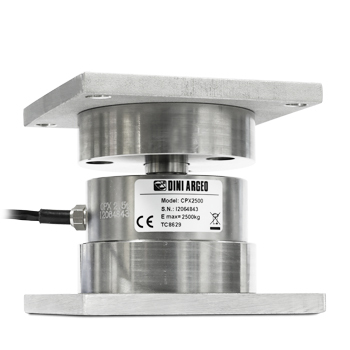 Compatible with CP/CPx load cells up to 12500kg. Square stainless steel plate, for fixing directly to the load cells or to the circular plates. 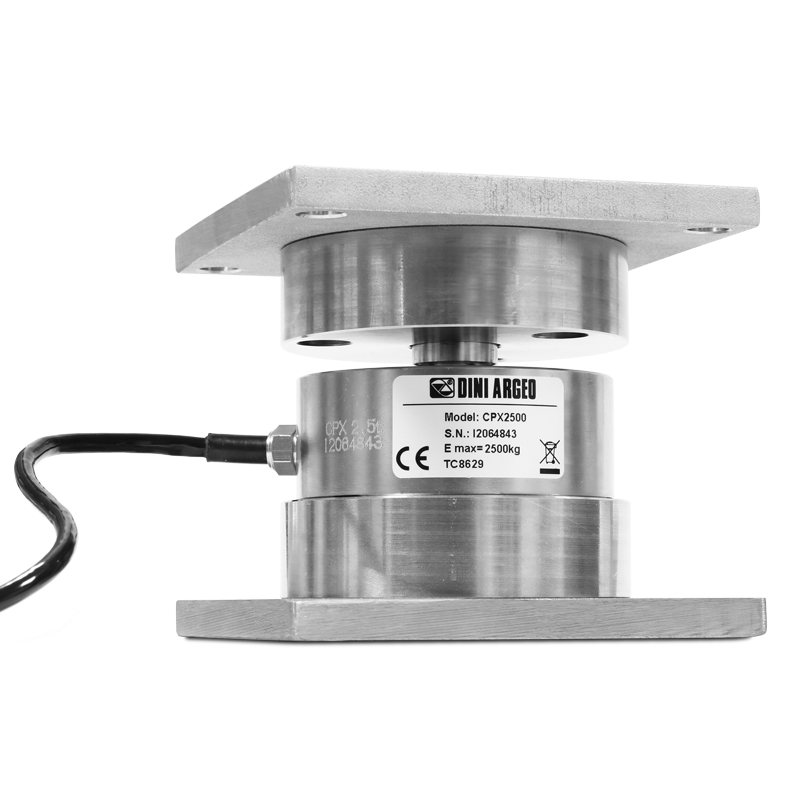 Stainless steel multifunctional circular plates, designed to reach the desired height, and for the slot and locking of the load cell. 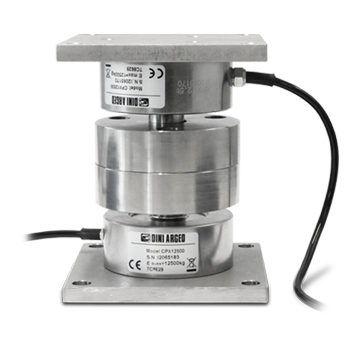 Stainless steel load button, to combine with ELGOC for simple systems, with dummy load cells. 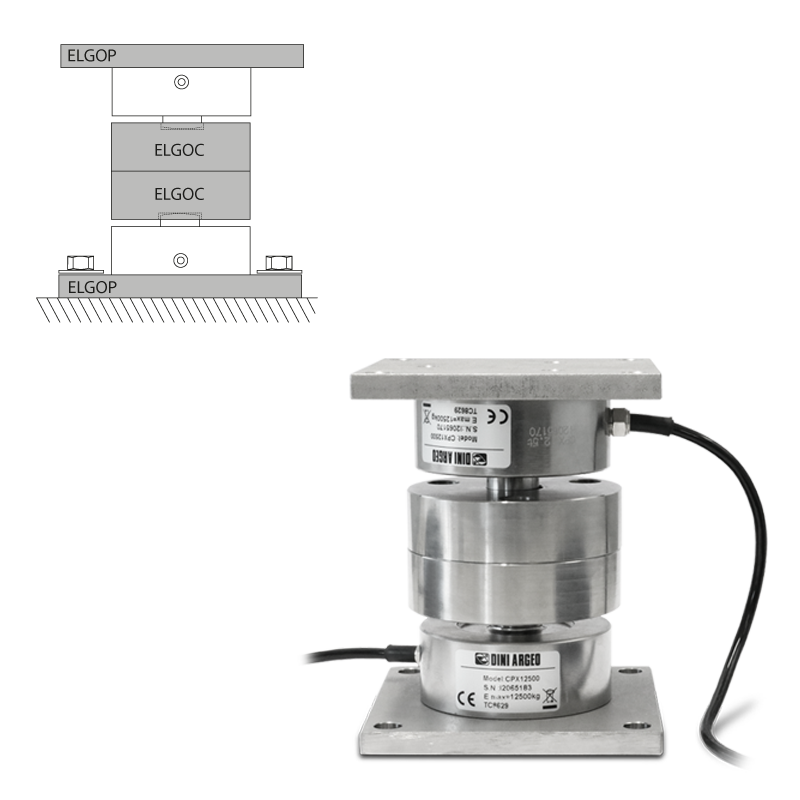 Self-centring system for optimal weighing performances. Compensation system of the expansion on the transverse axial, +/- 2,5mm. The ELGO kit does not avoid overturns, nor protect against overloads/lateral forces. ELGOP Fixing plate with screws. 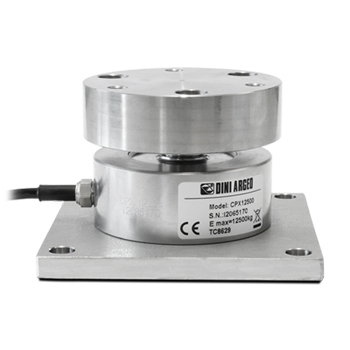 For CP/CPX load cells up to 12.500kg. ELGOC Multipurpose plate with screws. 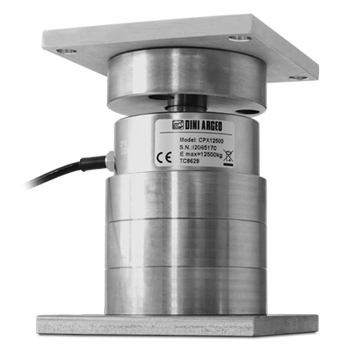 For CP/CPX load cells up to 12.500kg. 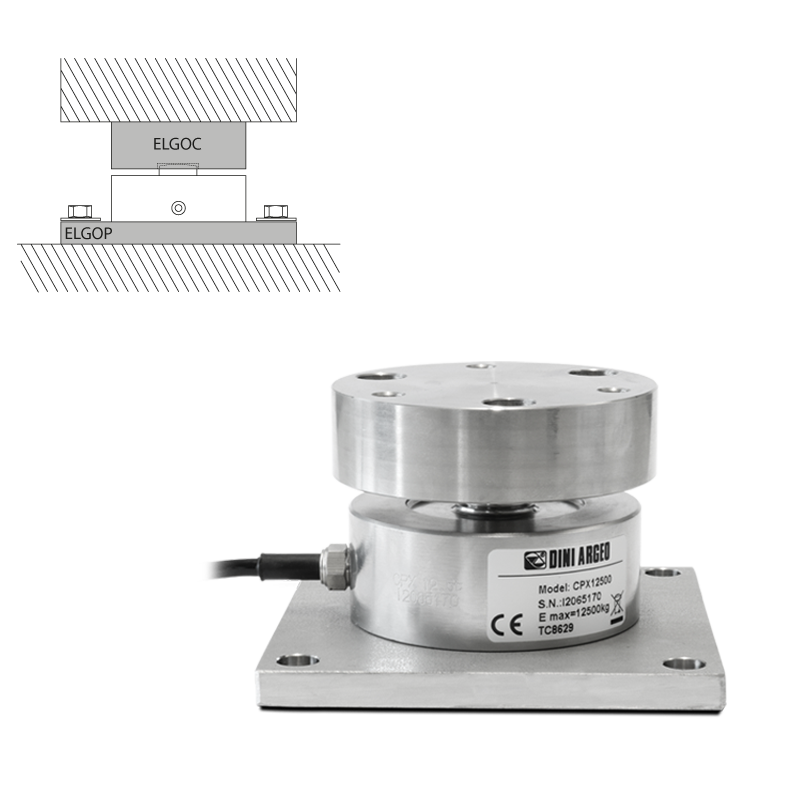 ELGON Load button to be combined with ELGOC for applications including dummy load cells. GR25M8I Kit 15 STAINLESS steel grains M8x25. DCATEX2GD Declaration of ATEX conformity of whole. 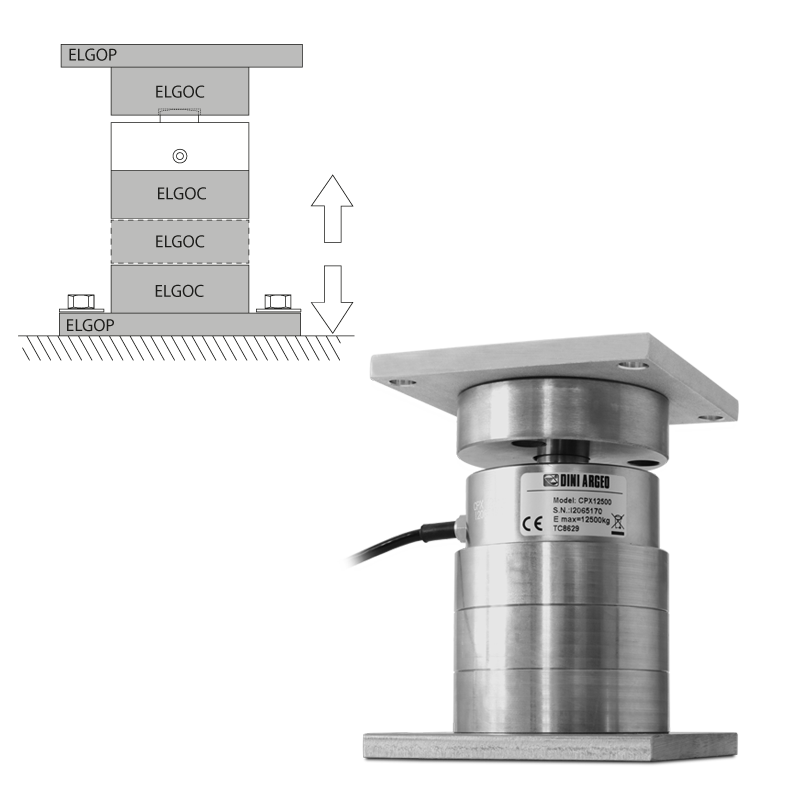 Ex II 2GD IIC T4 T197°C X SYSTEM, with relative label of whole system, for Dini Argeo ATEX weight indicator connected a mechanical structure with ATEX load cells (each cell must be certified with CCATEX option). ATEX CONFORMITY DECLARATIONS will be supplied in English.